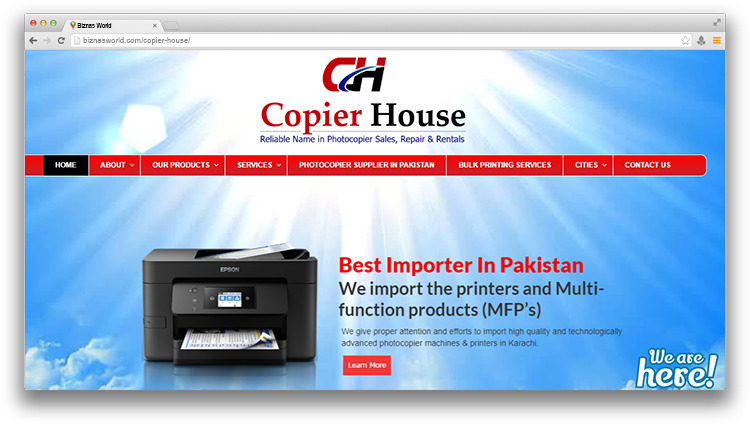 Description Copier House is an emerging photocopiers supplier in Pakistan. A thorough knowledge of copier industry is key to the outstanding service that has become our trademark. Our team consists of professionals and experts who are dedicated and focus on each and every aspect in order to excel in their respective fields. Address A-1960, Block 2, Metroville,III, Sector 14/A, Abul Isphani Road, Karachi.